Even before the holiday shopping season, the smart speaker market is red-hot. Worldwide shipments of smart speakers grew 137% from a year ago, hitting 20 million units shipped in the last quarter, according to a new forecast. That’s an increase from 8 million speakers shipped in the third quarter of last year, with a total of 75 million speakers expected to ship this year, according to the report by Canalys. Riding the wave of its Prime Day, Amazon regained the lead after falling behind Google for two quarters, based on estimates by Canalys. For the third quarter, Google shipped 6 million smart speakers, 400,000 fewer than Amazon. The top three markets for smart speakers shipped are the U.S. (8 million), China (6 million) and the U.K. (1 million). The U.S. and China together accounted for 70% of the entire global market of smart speakers shipped in the quarter. The distance of market share for the quarter is close between Amazon (32%) and Google (30%), with Alibaba a distant third at 11% followed by Xiaomi in China at 10%. 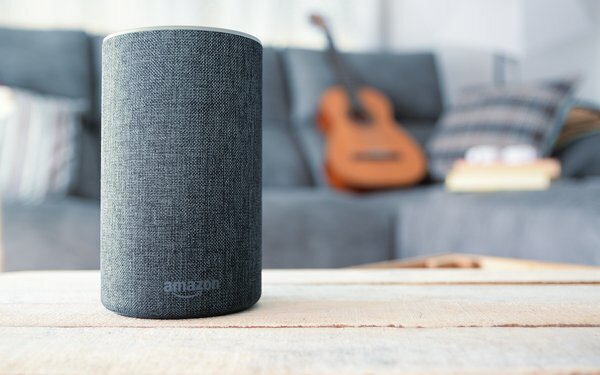 Considering all the third-party smart speaker makers along with Amazon’s Echo and Google’s Home lines of speakers, Amazon and Google account for about 95% of the market, according to Voicebot. The installed base of smart speakers will reach 100 million units next year, according to GlobalData, which estimates that number will pass 200 million within the next few years. If Amazon and Google discount their smart speakers for holiday shoppers as they did last year, this could create a record-setting number of voice-connected homes heading into the new year.